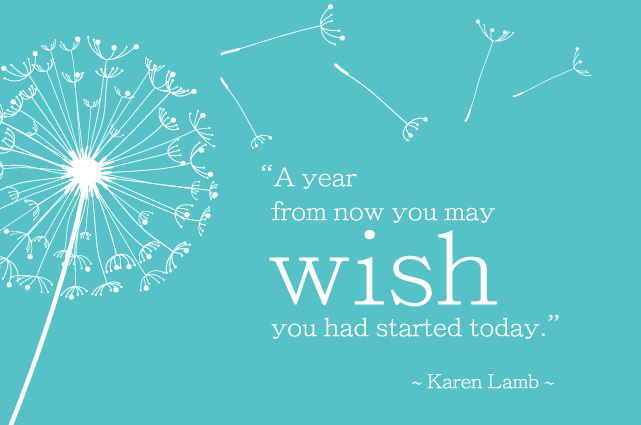 There is something about a new year that makes setting resolutions almost impossible to resist. A new year represents a fresh start. It is the anticipation of something new, change and growth. A new year brings with it a chance to break from the regular routines of life, allowing you time to pause and reflect on what was good and bad in the year that has past. It is also a chance to ask yourself where are you going and how are you going to get there? Wanting something is not enough – you can’t just dream and hope everything will work out. You need a system and a plan. Here is a method you could consider if your new years resolutions have been pushed aside once the everyday routine has got busy. 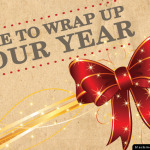 WHAT – List five things you want in 2015? WHY – Ask yourself why do you want these goals? HOW – What are you willing to do to make this this happen? 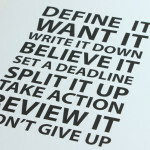 Break each of your goals down with a list of three things to help you achieve your goals? WHEN – Allocate regular time in your weekly/monthly schedule to do the fifteen tasks you have set for yourself. Day-to-day work goals are directed at increasing the everyday effectiveness of your business. They may involve things like order tracking or office management. Why do I want it – to increase satisfied customers – A satisfied customer is 6 times more likely to be loyal and to repurchase and/or recommend than a customer who is just satisfied. All small businesses have problems that must be solved in order to improve the productivity and profitability for the business. 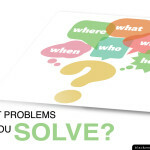 The word problem is defined as “a puzzle, question, set for solution”. There are good problems (i.e. ; increased sales/growth) and there are bad problems (i.e. ; decreased revenues/sales) both require the same problem solving process. Why do I want it – to improve productivity. 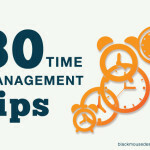 Boosting productivity is all about doing more with less. It also increased fulfilment – knowing you did something with your time. Development goals encourage the acquisition of new skills and expertise. These can focus on skills aimed at job mastery or combine job mastery with professional development skills. Job mastery skills are those that are necessary to successfully perform one’s job. Professional development skills are the skills and knowledge that go beyond the scope of the employee’s job description, although they may indirectly improve job performance. Why do I want it – to connect with current and potential clients as well as increase networking opportunities. Social media is a tool like many others at a small business’s disposal. It’s unique in that it can heighten one’s visibility, broaden reach, and engage current and future customers. Social media helps to create a community of fans and followers that see you as more than just a business entity. They’ll view you as someone they trust, and people buy from those they trust. Build innovation into your business planning by setting goals that focus on improving products and processes. Innovation is not easy, as it usually involves developing something that has not been done before with the hope that the target audiences like the end results. Why do I want it – to increase customer satisfaction through clear understanding of project goals and expectations – A satisfied customer is 6 times more likely to be loyal and to repurchase and/or recommend than a customer who is just satisfied. Profitability goals set your sights on where you want your bottom line to be. To make improvements you must know what’s really going on financially at all times. Why do I want it – to increase profit. Operational efficiency is the capability of a business to deliver products or services to its customers in the most cost-effective manner possible while still ensuring the high quality of its products, service and support. Rather than making a wish list of resolutions and just hoping the results will happen because you want them to, you are resolving to take actions that you are committed to. You have clarified why you want to achieve the goals, which in turn will help to motivate you to stick to your plan. You have assigned time to tasks. By setting time aside for specific tasks, you have a greater chance to succeed in getting what you want as you will be doing something about it rather than just thinking about it. How are you going to make sure you achieve your goals this year?